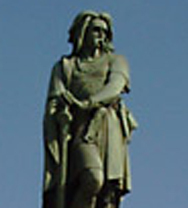 Chieftain of the Gallic tribe of the Arverni. He waged a successful battle against Caesar, defending Gergovia, but was later defeated by the Roman army and taken prisoner to Rome. He was executed six years later.